It's a topic that is endlessly debated on forums. But can't we all just get along? One of the biggest debates you will see on health and nutrition forums is juicing vs. blending. Advocates of juicing will promote the fact that juicing provides the fastest way to fill your body with nutrients, while blending fans will point out that blending provides the important fiber that juicing leaves out. So which one is best? The truth is, both juicing and blending are great ways to provide your body with valuable nutrition from fruits and vegetables. Let’s take a look at what each entails, and the pros and cons of each. Juicing is the process of separating the juice from the insoluble fiber in fruits and vegetables, leaving the fiber as pulp not to be consumed. Juicing machines come in a variety of forms, but can be basically divided into slow juicers and high-speed juicers..
Also called masticating or cold-pressed juicers, these juicers use one or two slowly turning screws (called augers) positioned horizontally or vertically to crush produce into small pieces and then push those against a screen. The main benefits of low-speed juicers are the quality of the juice, higher yield, easier cleaning, and the ability to juice greens. The biggest drawback is the higher prices of these machines and the longer time required to juice. 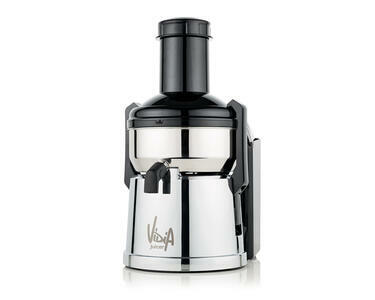 Also called centrifugal juicers, these are the classic lower-priced juicers that have been available for many years. These machines use a high-rpm spinning blade to shred the produce and then eject the juice through a perforated screen. 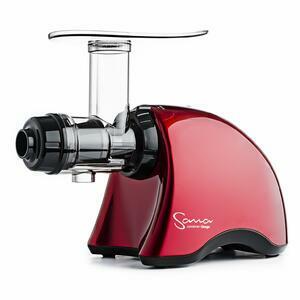 The main benefits of centrifugal juicers are their low price and fast juicing. On the minus side, they tend to make foamy juice with lower yield and nutritional value due to oxidization from the high rpm and heat generated. In addition they can be difficult to clean. Unlike juicing, blending uses the whole fruit or vegetable. Typically blenders are used to make smoothies, which ideally contain about a 3:1 ratio of vegetables to fruit, plus enough liquid to make it smooth. You can spend anywhere from under $50 to beyond $500 for a blender. Higher prices buy you more power, stronger construction, and better performance. More watts doesn’t necessarily mean better performance, as the design of the jar and type of blades have a big impact on blending ability as well. Also, some blenders have a pusher integrated into the lid which can be handy to rearrange stubborn produce within the jar. Here is a list to the main benefits and drawbacks of both techniques. Generally speaking, the biggest criticism of juicing is that juices lack fiber, although they still maintain the soluble fiber that can aid in digestion. Soluble fibers are things like fruit gums and pectins, and form a sort of gel in the digestive tract. Critics also point out the high levels of sugars in juice, although that is very recipe-dependent – adding greens helps to minimize this. The most common criticism of blending is that smoothies can be harder to consume, as they are thick and “full” tasting because all the fiber remains – to some this could be considered a benefit, especially if you are trying to lose weight. Another criticism is the high-speeds in blenders (20,000+ rpm) causes heat and oxidation, destroying a lot of the phytonutrients found in fresh fruits and vegetables. A new technology in blenders – vacuum blending – is under development by several manufacturers and promises to dramatically reduce the oxidation in smoothies. For example, take a look at the Vidia vacuum blender, which was just released in late 2016. As you can see from the list above, they both have their pros and cons. We think both juicing and blending are good, and complement each other well. A smoothie makes a fast and filling meal replacement, while juice acts as a great “natural energy drink” to give you a quick boost of nutrition. Just keep in mind that juice is best served on an empty stomach due to the lack of insoluble fiber. Juice is quickly absorbed by the digestive system, but if your stomach is already full, the juice will mix with the food in your stomach and begin to ferment. The best time to drink juice is at least 20 minutes before or two hours after a meal. You can enjoy a smoothie any time, as the soluble fiber will cause it to digest slowly. Choosing between juicing and blending is like deciding if you should visit Tahiti or Bali. You'll be even happier doing both!